First Year Degree: 250 MCQs divided into 2 sections; Lateral Entry: 200 MCQs divided into 5 sections. Physics, Chemistry, Maths, English, Engineering Graphics, General Engineering, Mechanics. Correct Answer: (+) 3 Marks; Incorrect Answer: (-)1 Marks. First Year Degree: 750 marks; Lateral Entry: 600 marks. 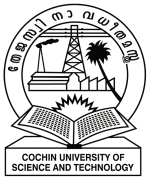 Mode: CUSAT CAT 2019 will be conducted on online mode i.e Computer-based test (CBT). Type of Questions: The CUSAT CAT 2019 questions will be in objective format i.e. multiple choice questions (MCQs) with 4 choices with one correct answer. Marking Scheme: 3 marks will be awarded for every correct answer and 1 mark will be deducted for every wrong answer. There will be no negative marks for the unanswered questions. Paper 1: The total number of question in mathematics paper is 125 which carries a total of 375 marks. Duration: Candidates will get 120 minutes for each paper to complete the CUSAT CAT. Minimum Marks: Candidates will have to score a minimum of 10 marks in each subject to qualify for the ranking list. May I know the exam pattern for B.Tech?